Agents of Change screens on Tuesday, August 16. During the past 30 years of producing documentaries, Abby Ginzberg has been thinking about an event from her college days that she witnessed first hand. It took place in 1969 when she was a sophomore at Cornell University. Ms. Ginzberg and fellow Cornell graduate Frank Dawson have now turned that idea into the documentary called Agents of Change, which was released last February. 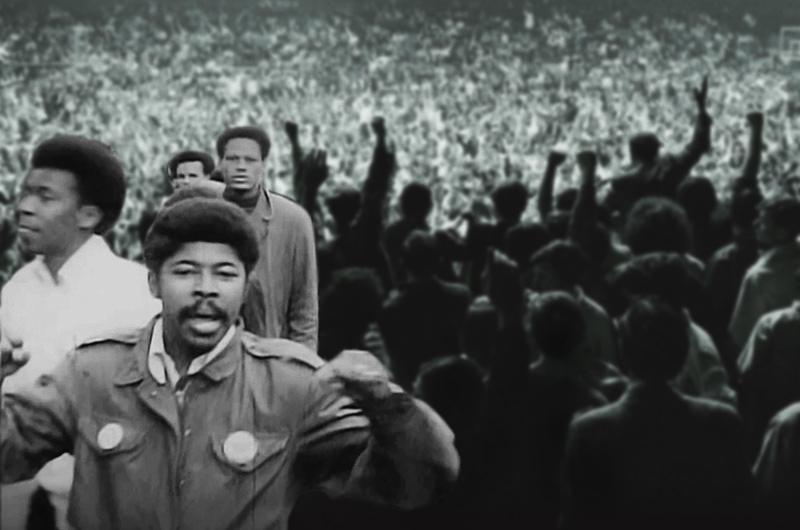 The film centers around the takeover of Cornell’s student union by African American students in 1969 and covers racial issues on college campuses across the country, including the struggle for social justice on campuses today. The film screens on Tuesday, August 16 at the Strand Theatre in Oak Bluffs, followed by a discussion with Ms. Ginzberg, Mr. Dawson, and the film director Stanley Nelson. Although Mr. Dawson and Ms. Ginzberg were students at Cornell during the 1969 takeover, they didn’t meet until seven years ago when they were introduced by a mutual friend. 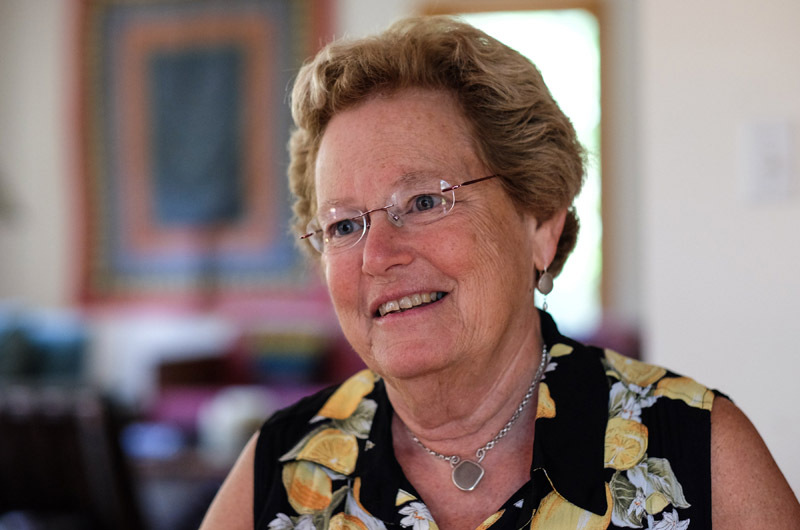 Ms. Ginzberg was an active member of Students for a Democratic Society, or SDS during her years at Cornell. She recalls the morning of April 19, 1969, when a group of African American students, including Mr. Dawson, took over the student union. It was freezing cold and raining. She awoke to sound of a phone ringing in her hall. The evening before, a cross in front of a black women’s residency had been lit on fire as a reaction to black student protests for equality in the curriculum at Cornell. A group of young black men decided to lock themselves in the student union after discussing the incident. Ms. Ginzberg and other members of SDS were instructed to form a barrier around the student union to protect the protesters. “Not only were they being threatened by the white fraternity boys, they were getting calls from all over the area saying ‘you better give up the building, you have no right to be there, we’re coming in to get you out,’” Ms. Ginzberg said. The protesters smuggled guns into the building as a show of strength. The guns were never loaded, cocked or fired. However, when the young men finally exited the building, the photographer Steve Starr snapped a photo of them armed with the guns. The photo appeared on the front pages of newspapers across the country. Part of the filmmakers goal was to tell the complete story of the protesters and the wider Black Power movement on campuses by interviewing students of that generation. However, Ms. Ginzberg and Mr. Dawson wanted the film to be relevant to younger generations. The Black Lives Matter movement suddenly made the film not just a subject about history. As the pair took the film to different festivals and college campuses after its release in February, they learned about current issues directly from the students during Q&A sessions, including how not much has changed over the years. “We would say that some of the systemic problems that led to the protests of the late 1960s are still with us and we have not done a good enough job to move towards the eradication of racism yet,” Ms. Ginzberg said. Agents of Change will play at the Strand Theatre in Oak Bluffs on Tuesday, August 16 at 6 p.m., followed by a discussion with filmmakers Abby Ginzberg and Frank Dawson, and the film director Stanley Nelson.